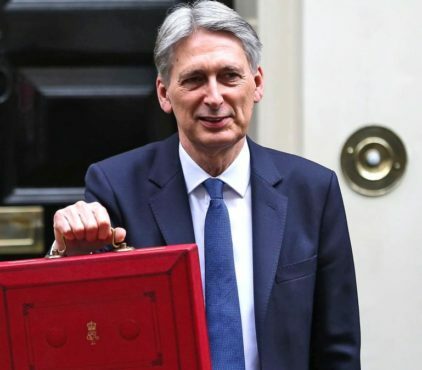 Now Philip Hammond has set something of a record, though not of his own making, by dropping his main budget tax-raising measure, the two percentage point increase in class 4 national insurance contributions (Nics) within a week. Though I argued last week against this tax rise on the self-employed, I am not going to crow about the U-turn. The chancellor has enough enemies. He and the Treasury will take comfort from the argument that they were trying to do the right thing by the public finances and the tax system, correcting important unfairness in the latter. They will argue that politics got in the way of good economics. I am not sure about that. The Nics increase is dead, for this parliament. But the review Theresa May commissioned from Matthew Taylor, chief executive of the Royal Society of Arts, will be published in the autumn and could recommend enhanced rights for the self-employed. Taylor backed the increase in Nics but said it should not go any further. The rise in self-employment has been a key contributor to the employment “miracle” in Britain in recent years. With the growing army of the self-employed, we have seen a record employment rate and an unemployment rate, which at 4.7%, equals the lowest since the mid-1970s. The question is whether, once you start to tamper with the self-employment model we have in Britain — which is less regulated, lower-taxed and, on average, lower-waged than employment — you kill it off. Has the self-employment boom, in other words, been possible only because of the existing model? The House of Lords economic affairs committee has warned that the implementation of HMRC’s digital tax plans next year will harm small firms and many of the self-employed. Look at the numbers. There are 4.8m self-employed people in Britain, 3.44m full-time self-employed and 1.37m part-timers. The increase in the number of self-employed people in the past eight years, 1m, compares with a rise of 500,000 in the eight years leading up to the financial crisis. Without this, the employment rate would be closer to 72% than the current 74.6% record, and unemployment near to 2.5m, nearly 7.5% of the workforce, instead of 1.6m and 4.7%. Nor is there evidence of any slackening in self-employment growth. In the latest three months there was a rise of 49,000 in self-employment, almost three times the 17,000 increase in the number of employees. In the past year the figures were 148,000 and 144,000 respectively. What has been driving the boom in self-employment? A number of factors. Some of it has been straightforward preference. People like self-employment because it offers greater freedom and variety, and not just in the gig economy. For some businesses, it is cheaper and more convenient to employ contractors than take on full-time staff. Advances in information technology, meanwhile, have made it easier and cheaper for people to work from a distance and to freelance. Labour market conditions matter. In the aftermath of the crisis, when there was initially a fall and then barely a recovery in the number of employees, many people saw self-employment as an alternative to unemployment. By becoming self-employed they kept their hand in, and most who became self-employed in this way did not return to traditional employment when the opportunities arose to do so. No story of self-employment is complete without pensions. A good company pension was once a powerful argument for remaining an employee. The decline in company pensions has reduced those attractions. At the top end of the scale, where the highly paid have run up against the government’s lifetime allowance, now £1m, the argument for staying in a company scheme has diminished. The years of declining pensions, thanks both to government action and ultra-low interest rates, have had another self- employment effect. The glory days of retirement in your fifties with a generous pension have gone for most. Today, many need to top up inadequate pensions with self-employment income. How much has the rise in self-employment been driven by its tax advantages? A couple of years ago, the Office for Budget Responsibility identified that some of the rise in self-employment may have been driven by access to tax credits. About a fifth of the self-employed are in receipt of such credits. At the margin this, and lower Nics, will have driven some of the rise in self-employment. I doubt, however, that it explains much of it. The rise of self-employment has been an undoubted boon for the economy, contributing to much better labour market numbers and, overall, helping the public finances when compared with the alternative of these people not working and not contributing to tax revenues, and drawing more from the state. The Resolution Foundation, the think tank that emerged as the strongest backer of the Nics rise, surprised me more than a little. One of the debates I have had with the foundation in recent years has been over the earnings of the self-employed. Only six months ago it reported that typical real self-employed earnings are lower than they were 20 years ago, and on a like-for-like basis have fallen significantly since the crisis. This is an odd context in which to hit somebody with a tax rise. What about the question, raised by former Treasury officials and others, that if raising taxes is so difficult we cannot be serious about deficit reduction, and so everybody should have supported the rise in self-employed Nics? The flaw in this is that it is late in the day. The one big tax rise during the deficit reduction programme, the 2011 increase in VAT to 20%, has mostly been given back in increases in the income tax personal allowance, the long freeze in excise duties on petrol, and so on. If there is a need for higher taxes to reduce the budget deficit they should apply to all taxpayers, not smaller groups. I doubt after last week we will be seeing that from the chancellor. For the government, the lesson should be that it is important to nurture self-employment, not stifle it. That should be the good news in this U-turn. PSThe second interest-rate rise in three months from America’s Federal Reserve was so widely expected it would have been a shock if it had not happened. Slightly more surprising was that it was followed by a small rise in most rates set by the People’s Bank of China. The big surprise, in fact, was the Bank of England. Its meeting last week was flagged up as a non-event. But the monetary policy committee surprised the markets, and pushed the pound up, when Kristin Forbes voted for a 0.25-point rate rise, the first MPC member to do since January last year. Having argued last month that the MPC should reverse its August emergency rate cut, I can’t argue with her, nor with what analysts took to be a more hawkish message from the committee as a whole with the comment that “some members noted that it would take relatively little further upside news on the prospects for activity or inflation for them to consider that a more immediate reduction in policy support might be warranted”. Forbes, however, will be leaving the MPC in June to return to America. Charlotte Hogg will be leaving for other reasons. Markets are pricing in a 30% chance of rates going up before year-end. For that to happen, wage growth would have to pick up from its current 2.2%, the “downside risk” from uncertainty over Britain’s future trading arrangements would need to be absent, and Mark Carney would have to lead the Bank’s internal members into a rise. It could happen, but the odds at the moment are against it.